Who The Hell Is Chip? Several of you Excel aficionados have asked me the same question: Just who the hell are you? And why do you answer do many questions on the Excel newsgroups? This page is devoted to me, without apologies. 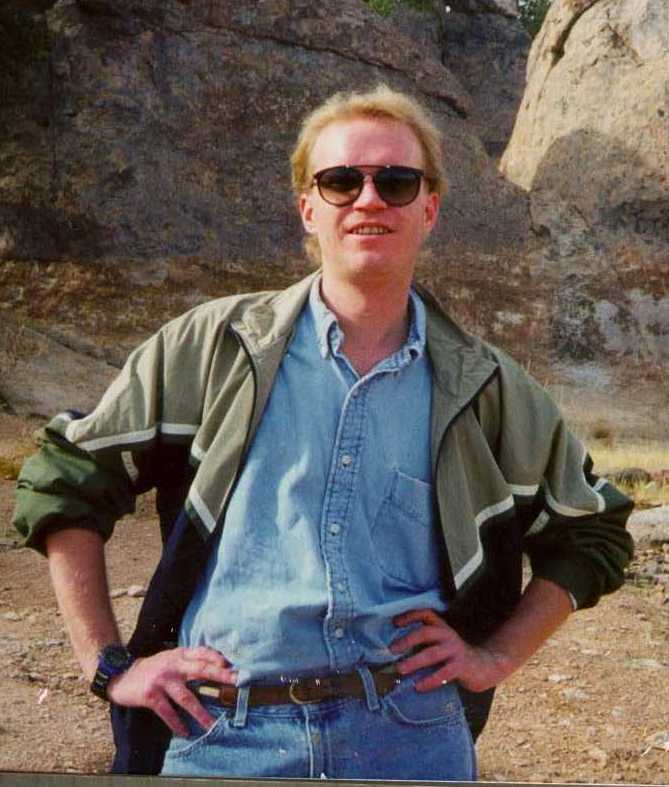 This is me at the City Of Rocks State Park in southern New Mexico, during Christmas of 1998. If you happen to be in that region of the USA, I recommend City Of Rocks for an afternoon. I'm 40 years old, and went to the University Of Kansas, studying Mathematics. 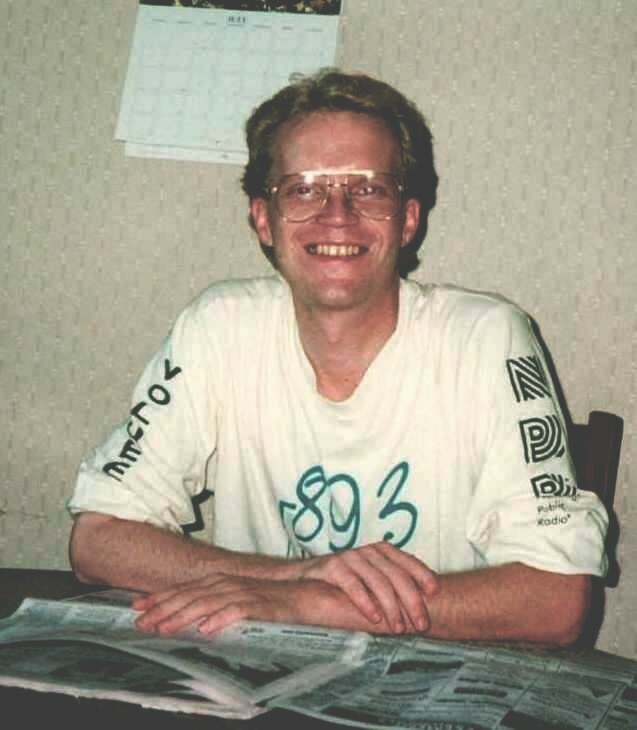 About the last semester of my senior year, in 1988, it dawned on me that there were no jobs in Mathematics, without a Ph.D. So... I went to work for Electronic Data Systems, doing computer programming. EDS was my first job out of college, and while I was there I programmed Tandem NonStop NSK systems. For the uninitiated, Tandems are the ultimate fault-tolerant systems. They won't even blink if you remove CPUs or controllers or drives while they're running. If you've written the code right, even your applications won't stop. Absolutely terrific machines. I worked on Tandem systems for several years, becoming the primary designer for a large application for a cellular telephone company. I got tired of that job, and the horrible weather in Michigan, and did Tandem consulting work for a year or two. I got tired of that, and took my knowledge of Excel and other Office programs, and hung out my own shingle. So here I am, now, back in my home town of Kansas City. Besides that, there's not much to report. I'm single (any cute, single ladies out there interested in Excel? ), and live in Kansas City. Now you know as much about me as I do.